The US dollar is starting to roll over, says Rick Rule, president and CEO of Sprott US Holdings. This is bullish for gold, silver, and mining stocks. In the mining sector, Rule explains how a once in a decade opportunity for takeover arbitrage may be developing. Rick Rule also discusses the stock market, uranium stocks, and the cobalt market. The inversion of the yield curve (when short-term interest rates yield more than longer-term rates) has correctly predicted the last seven recessions going back to the late 1960’s. Pento says this kind of inversion is happening now. With interest rates still extremely low, the Fed will have few options but to balloon the money supply. Inflation hear we come! Most people’s lives are dedicated to money. It’s all people ever worry about or talk about. People train to learn the skills to get jobs to trade hours of their lives for money. But where does money come from? And who controls it? This 21-minute video from ColdFusion explains it all. Regarding the crypto currency space, when asked if it's in a bubble Clif responds emphatically, "We are in a bubble actually, but we're not in a crypto bubble. We're in a Dollar bubble. The whole planet is so flooded with Dollars that bubble is popping. And so that bubble is popping right at the moment, and some of that is going into cryptos and some of it can be expected to go into precious metals. But there's so many Dollars in this bubble that they're not able to fit through the narrow openings that we have into the precious metals space and into the crypto space. And that's what we're watching at the moment." And as for the bankers VS. the crypto currencies, "The powers that be a freaking out because they're losing. They didn't anticipate the springing of cryptos. It was universe providing us the opportunity to express ourselves outside of the slave system that has been imposed on us and it's got them all freaked out because they can't close these doors once universe makes them." China Makes Move To End The Dollar! Petro Dollar Collapse Coming? China Now Pressuring Saudi oil exports be sold in Yuan. 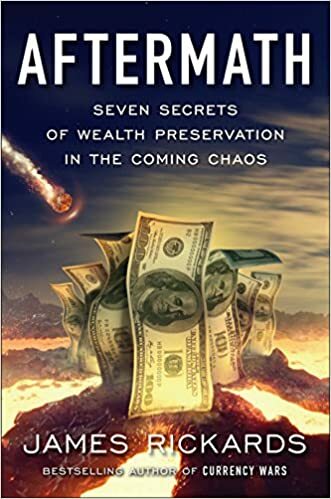 The Dollar Collapse is becoming a very real danger as a concerted effort to dethrone King Dollar as the world reserve currency. The Petro Dollar status now looks more fragile than ever. China takes aim directly at the central point of strength to our very fragile fiat currency. Democrats are hoping that the testimony that former FBI Director James Comey will deliver on Thursday will be enough to take Donald Trump down for good. Comey released a written preview of his testimony on Wednesday, and it was obviously intended to draw even more attention to what is already being described as “the most highly-anticipated Congressional hearing in decades”. CNN is breathlessly declaring that “James Comey just went nuclear on Donald Trump”, and Texas Democratic Representative Al Green is already planning to draft articles of impeachment even though the testimony hasn’t even happened yet. Unfortunately for those that would like to see Trump go, even if every single thing that James Comey is claiming is true (and that is a very big “if”), there is still no evidence that Trump is guilty of any crime. Former FBI Director James Comey said President Donald Trump asked him to drop the agency’s investigation into former national security adviser Michael Flynn. “I hope you can see your way clear to letting this go, to letting Flynn go. He is a good guy. I hope you can let this go,” Comey said Trump told him in an Oval Office meeting on Feb. 14. Eisen compared the news revealed in Comey’s testimony to former President Richard Nixon’s secret recording of his phone calls in meetings at the White House when he was in office, which eventually played a role in his resignation. “There is a criminal investigation going on of one of the President’s top associations … he gets fired, he is under under investigation and the President brings in the FBI Director and says ‘please stop your investigation,'” said CNN’s senior legal analyst Jeffrey Toobin. “If that isn’t obstruction of justice, I don’t know what is,” Toobin said. I don’t know what law school Toobin attended, but he is clearly wrong on this point. There are several federal statutes that could apply in this case, but the most important one is 18 U.S.C. § 1505. In order for obstruction of justice to be proven under 18 U.S.C. § 1505, there are a number of elements that must be clearly established. In this case, prosecutors would have an exceedingly difficult time proving that Trump acted “corruptly”, but the even bigger problem would be the fact that there was no “proceeding” taking place at the time. Then there is the question of corruptly influencing what? There is no indication of a grand jury proceeding at the time of the Valentine’s Day meeting between Trump and Comey. Obstruction cases generally are built around judicial proceedings — not Oval Office meetings. Finally, there is the allegation of obstruction of justice growing out of President Trump’s firing of FBI Director James Comey and his alleged request to Comey to “let it go” with regard to his fired national security advisor Michael Flynn. None of this, in my view, rises to the level of criminal obstruction, because all of the president’s actions were within his constitutional and statutory authority. But even if it were a crime, it is unlikely that a sitting president could be indicted and prosecuted for what is alleged against Trump. Turley and Dershowitz are both extremely liberal, but at least they are honest enough to give us a balanced assessment of what the law actually says on these matters. If Comey is being accurate, Trump’s conversations with him may have been inappropriate, but no crimes were committed. Of course that isn’t going to stop the Democrats from trying to impeach him. If this current angle fails, I am hearing that they are planning an all-out push to get rid of Trump if they are able to take back both the House and the Senate in 2018. Let us hope that does not happen, because it is extremely difficult to be an effective president with the threat of possible impeachment constantly hanging over you. Terrorist attackers raided Iran’s parliament and opened fire at the Mausoleum of Ayatollah Khomeini a few kilometers south of the capital on Wednesday morning, in near simultaneous assaults that killed up to seven people, Reuters reported citing local media. In another incident, at least two people opened fire at the shrine of Ayatollah Khomeini. Several people are reported to have been injured there. One of the shrine attackers is reported to have killed himself by detonating an explosive vest. Another was shot dead. The attackers killed seven people and wounded several others, Tasmin said. 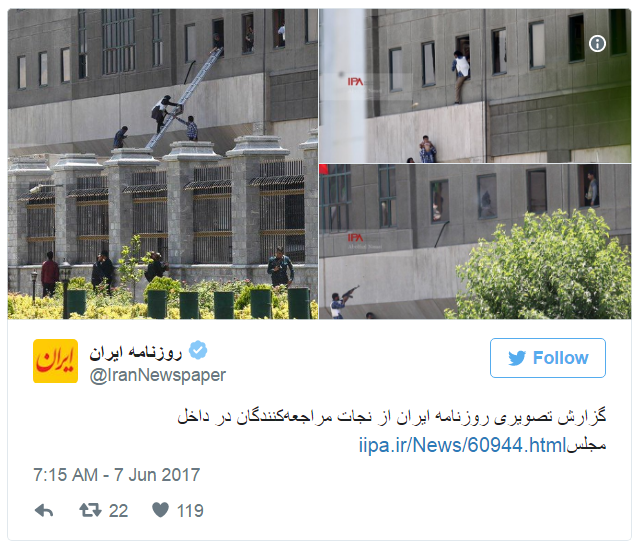 The news agency also said there were unconfirmed reports that the attackers had taken four hostages inside the parliament building, although according to a subsequent report by Iran's PressTV all terrorists at the parliament had been killed. While starting a little later than usual, Trump unloaded his now traditional morning tweetstorm, where in a three tweet salvo the president first lashed out at the "FAKE MSM" accusing it of trying to stop him from tweeting and saying reporters “hate” his use of Twitter while criticizing election analysts that predicted he would lose. In a separate tweet he took credit for Monday night's diplomatic crisis in which a Saudi-led alliance cut ties with Qatar, accusing it of being the region's only source of terrorist funding. 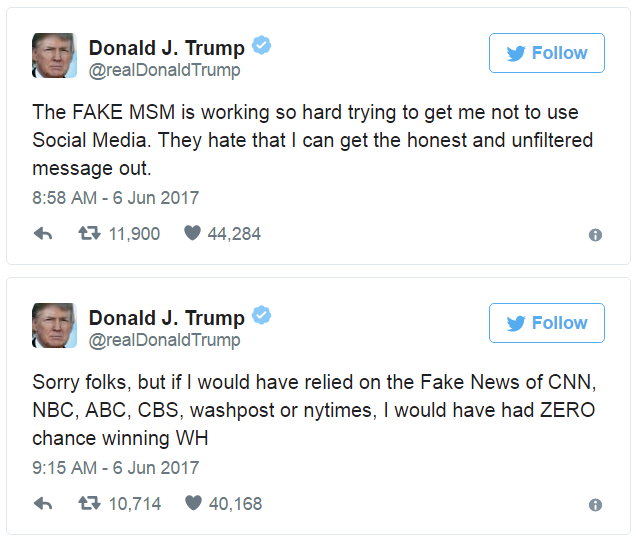 In the first two related tweets, Trump said "The FAKE MSM is working so hard trying to get me not to use Social Media. They hate that I can get the honest and unfiltered message out,” followed by "Sorry folks, but if I would have relied on the Fake News of CNN, NBC, ABC, CBS, washpost or nytimes, I would have had ZERO chance winning WH," he added shortly after. Addressing the topic of Trump's use of social media, on Monday, White House deputy press secretary Sarah Huckabee Sanders said that no one in the White House vets Trump’s tweets, following recent reports from the WSJ that as part of Trump's "war room" White House lawyers would seek to curb Trump's twitter usage. "I think social media for the President is extremely important. It gives him the ability to speak directly to the people without the bias of the media filtering those types of communications," Sanders said. 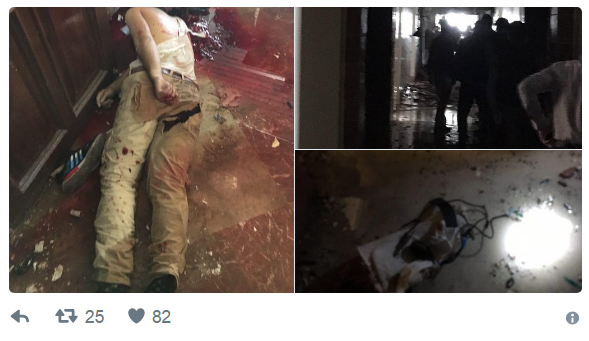 In the aftermath of the latest London terrorist attack, Trump sent out a series of incendiary tweets Sunday and Monday criticizing the mayor of London after a terror attack in the city, and touting his "travel ban" on individuals from six majority-Muslim countries, in the process provoking a furious political response by UK politicians, some of whom demanded that Trump's invitation to the UK later this year be rescinded. In a separate tweet, Trump appeared to take credit for the latest Gulf scandal in which many of Qatar's neighbors cut ties with the wealthy nation, saying that there cannot be funding for "Radical Ideology." "During my recent trip to the Middle East I stated that there can no longer be funding of Radical Ideology. Leaders pointed to Qatar - look!" As a reminder, on Monday Bahrain, Egypt, Saudi Arabia and the United Arab Emirates on Monday announced they were cutting diplomatic ties with Qatar, citing what they say is Qatar's support for extremist groups and its relations with Iran, which as the FT later reported may have been catalyzed by a $1 billion payment made by Qatar to Iran and various al-Qaeda spinoffs operating in the region. Some have alleged that the Saudi-led action was merely an attempt to scapegoat Qatar for ongoing support of terrorism in the region which as even Hillary Clinton noted previously includes not only Qatar but also America's biggest arms customer, Saudi Arabia. In response, Qatar has denied any support for militant groups and says the crisis is being fueled by “absolute fabrications” and is a “violation of its sovereignty.” In the aftermath of the scandal, U.S. officials downplayed the growing dissension between Qatar and the four other Arab nations, saying the dispute would not affect the fight against ISIS. As Bloomberg reported earlier, Kuwait is trying to mediate the crisis between Qatar and its Arab neighbors Qatar's foreign minister said Tuesday. In an interview with Doha-based satellite news network Al-Jazeera, Foreign Minister Sheikh Mohammed Bin Abdulrahman Al Thani said Kuwait's ruler had asked Qatar's emir to hold off on giving a speech about the crisis late Monday night. Sheikh Tamim bin Hamad Al Thani "received a call from the emir of Kuwait asking him to postpone it in order to give time to solve the crisis," Sheikh Mohammed said. Still, the minister struck a defiant tone, rejecting those "trying to impose their will on Qatar or intervene in its internal affairs." The state-run Kuwait News Agency reported Kuwaiti ruler Sheikh Sabah Al-Ahmad Al-Sabah spoke with Qatar's emir Monday evening and urged him to give a chance to efforts that could ease tensions. The call came after a senior Saudi royal arrived in Kuwait with a message from the Saudi king. An Omani diplomat traveled to Qatar on Monday. President Trump has come out, guns blazing once again via his twitter feed and renewed his support for the recently blocked "Travel Ban". Supporters of him have also taken up the mantle and are rallying the base in an effort to push through the barriers that are blocking this effort from taking place. The US courts will be held directly responsible if a terrorist attack occurs on US soil in the coming months and they know this, but seemingly could care less. Although the "Travel Ban" is now heading to the Supreme Court, being push there by the Justice Department, it is still going to take time to be enacted, and is likely be heavily watered down in order to be more palatable to the masses, who have become completely and utterly brainwashed by the politically correct cult they have adopted. 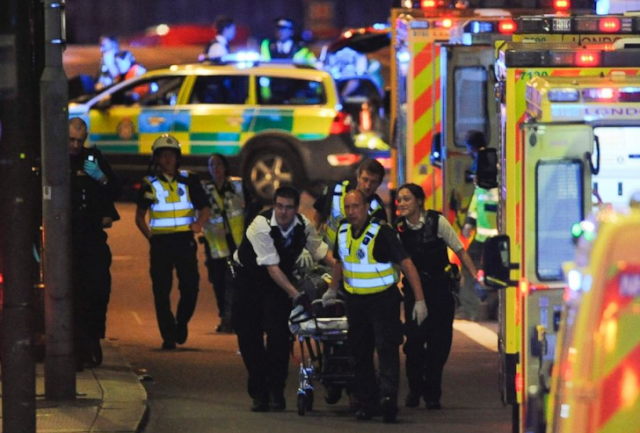 These recent London bridge attacks have shown once again what happens when the West lets its guard down and allows the unfettered flow of immigrants, who have nothing but a hate filled ideology in their hearts into our countries. Take heed and note that this is indeed an invading force, and one that will stop at nothing to see our way of life and culture destroyed. Western civilization is the greatest that has ever risen and is why many in the world have climbed out of poverty, hunger and misery. We are now throwing this all away at a whim, to appease the dying, clinically insane left, who would love to see our system destroyed in a cynical fashion. We must not allow this to occur, we must resist, we must support Donald Trump and his effort to push through and enact the Travel Ban. 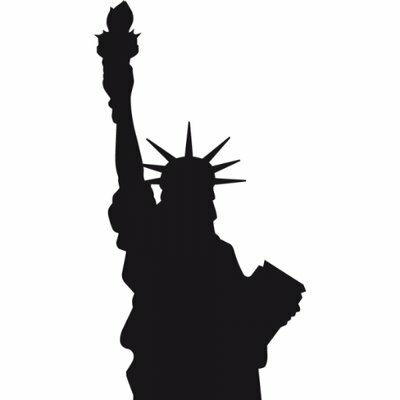 We must do this, or we will fall into the dustbin of history, along with so many other, once great nations. Don't say you weren't warned.